Summer is already long gone, it starts to get cold, and it’s already time to start thinking about where where to go for New Year’s Eve. If you haven’t decided where to go for New Year’s Eve, we recommend you some places in Europe, where you will be able to do it in an unforgettable way to say goodbye to the 2017 and give the greatest welcome to the 2018. 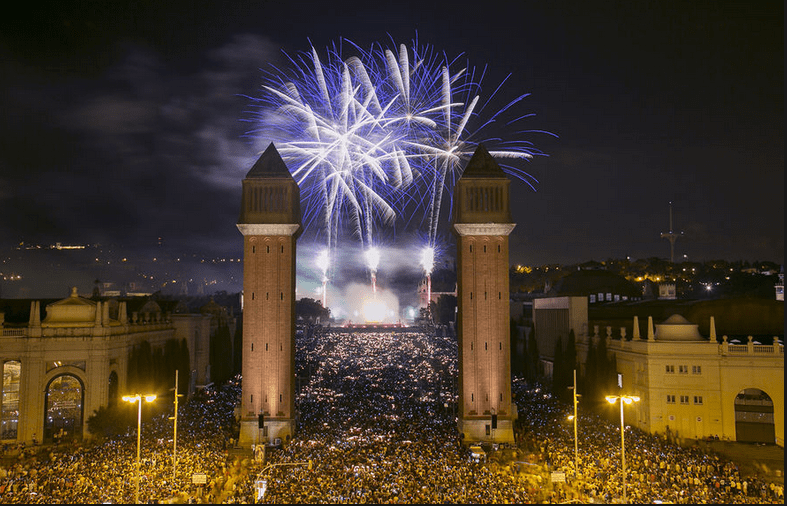 As we live in Barcelona, many people used to ask us about the new year celebrations here, and we used to say that it was worthless coming to Barcelona on this occasion, since the only thing you could find was a bunch of drunk people mostly around Plaza Catalunya making a lot of noise. There weren’t either fireworks or concerts, since local people tend to spend this day with their families and close friends. 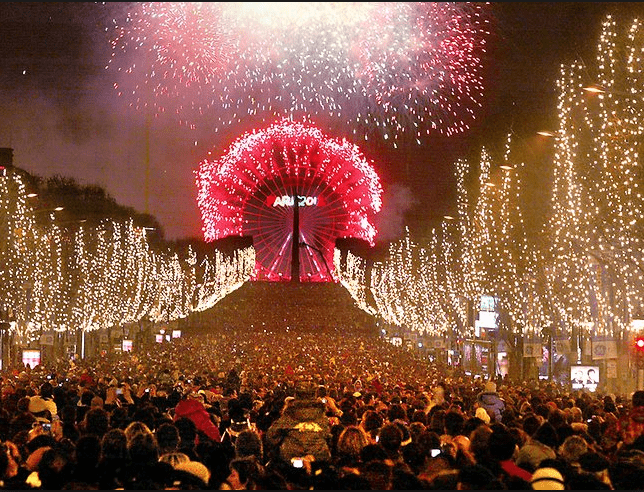 Nevertheless, since few years, Barcelona has become an extraordinary place to celebrate the new year. In Plaza España there are concerts and fireworks, and of course they do the “campanadas” during which the tradition is to eat twelve grapes (one for each month), so that we will have good luck the next year. To give you some additional information, check out what to see in Barcelona in 3 days. For those who are ready for a cold night, Budapest is an excellent option where to go for New Year’s Eve. Although you will have to wear warm clothes, the magic of the city will make you forget about the cold weather. In Budapest, one of the most beautiful cities in Central Europe, there are so many amazing things to do this day. Those who want a romantic evening, can have dinner sailing in one of the cruises on the Danube. Those who look for party, in Vörösmarty Square they will find concerts and fireworks. In the center of the square the statue is covered with balloons, since at midnight the tradition is to throw bottles towards the statue. In Budapest many people put on a costume this day, and the city almost seems to celebrate carnival. If you don’t have too much hangover the next day, you can start the new year with a nice bath in one of the many amazing Spas of the city and our 19 reasons to visit Budapest. 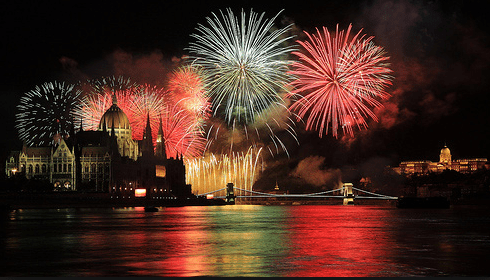 Budapest is an ideal place where to go for New Year’s Eve, there are things for all tastes, both for those who want a romantic night and those who want to party till next morning. Another marvelous place to celebrate the new year is Paris, la Ville Lumière. We recommend you to have dinner in one of the restaurants of the bohemian Montmartre neighborhood or around the Notre Dame Cathedral and then you can head to the Avenue des Champs Élysées to enjoy the fireworks in this friendly and sophisticated environment. Paris is a perfect place to celebrate the new year either with your friends or with your love. Venice LOVE, this is how the most romantic new year’s eve is going to be called in Venice this year. 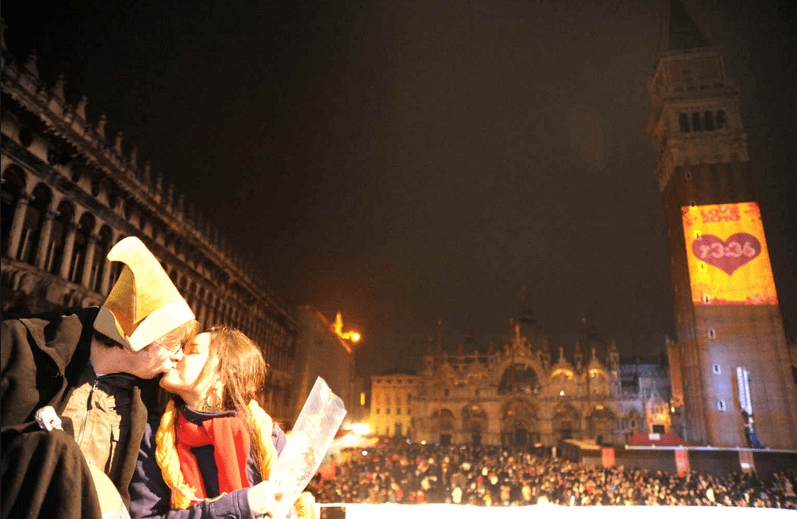 At midnight all people that gather in St. Mark’s Square will join together in a collective kiss to celebrate a new year hopefully filled with love. Street artists, concerts, animation, music and DJ will make this night unforgettable, which will continue after the collective kiss with wonderful fireworks in the Bacino de San Marco. However, the atmosphere of new year’s eve in Venice will not only be found at St. Mark’s square. Venice is much more, in every corner of the city, in every small square, there will be activities during the whole night. If you don’t like being in a huge crowd, you can choose the most romantic way of celebrating the new year in a boat, while you can enjoy the fireworks from a privileged point of view. Celebrating the new year in Venice sounds tons of fun, doesn’t it? Berlin is a charming city during all the year. A cosmopolitan, fascinating city that never sleeps, which is known to be a place where there’s party every day independently from the actual day. In spite of all these expectations, new year’s eve in Berlin won’t disappoint you at all. 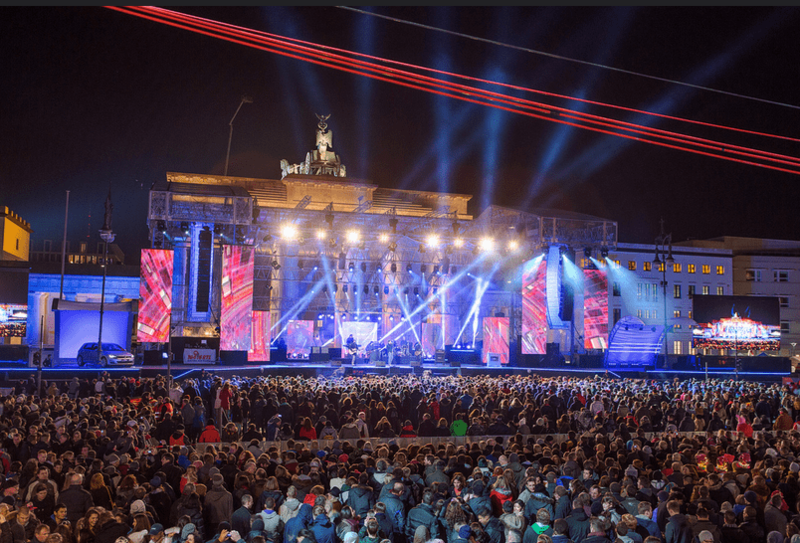 The Brandenburg Gate is turned into the biggest stage of the city where there will be concerts, fireworks, light shows, food stands from all around the world, and after midnight there will be an open-air discotheque till the next morning. The new year’s eve in Berlin is known as the biggest new year’s eve party, celebrated in a square. What are you waiting for? Berlin can be your place where to go for New Year’s Eve! 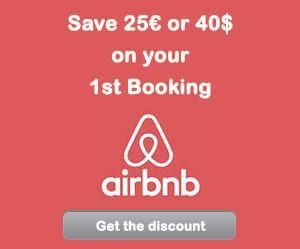 – ZZZ… BOOK YOUR HOTEL – find the best hotel for you. – FLYYY… Find the CHEAPEST FLIGHT. – BRUM BRUM… RENT A CHEAP CAR FOR YOUR TRIP – find the best car for you. We heard this story from many people who came to Barcelona for New Year’s eve, and got disappointed that there was no fireworks at all (it was like this till 2013). I also think that fireworks are very important for a having a great New Year’s Eve celebration! Thanks Dennis for your comment! I think I would choose Budapest. 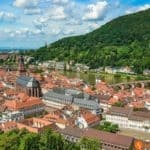 I absoultely love the nightlife there, and on my last visit I went to Sziszla – unique place and a must if you visit Budapest! Yeah I love the Szimpla Bar too, it has a real unique atmosphere! Amazing list! I would have a had time picking just one but after the amazing experience I had at Carnival in Venice last year I would have to say Venice for sure!